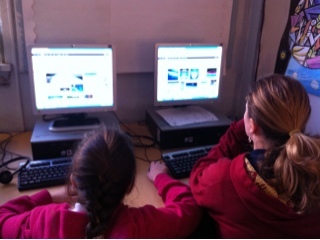 Two students work to create PowerPoint presentations explaining the layers of the atmosphere. All Term 2 Work Due THIS Friday. The Week of January 17th.